Los Angeles police officer has recently required the services of a retaliation attorney after reporting sexual harassment. Retaliation tactics by employers lead to quite a few lawsuits in Los Angeles each year, when employees are punished for not doing exactly what the employer would like them to do. This isn’t to say that the employee has been in the wrong – it normally happens after the employee complains about illegal or unethical business practices, discrimination or harassment. 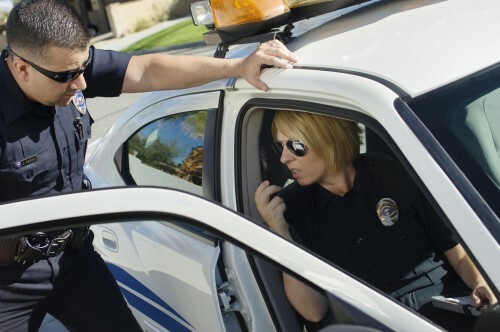 If there’s one employer you think should know better than to breach labor law, it’s the police force, but one Los Angeles police officer has recently required the services of a retaliation attorney after reporting sexual harassment. What Counts as Employer Retaliation Tactics? It’s easy to doubt yourself when you expect your employer is retaliating against you. After all, why would you expect that they’d act this way? There are a range of tactics employers may use in an attempt to get some kind of revenge. In the case of LAPD officer, Elliot Zibli, his “offense” involved blowing the whistle on sexual harassment in his department. According to Zibli, once he’d report the sexual harassment of a colleague, he began to experience some backlash. A bloodhound handler with almost 30 years’ experience, Zibli claims he was denied training opportunities, not provided with adequate support or weapons during operations, and deliberately given assignments some distance from his home. This behavior let to Zibli retiring early due to stress. Can an Retaliation Attorney Help Me? If you’re based around Los Angeles or Pasadena and need an employer retaliation attorney, or think you might need help from an experienced lawyer, your first step should be contacting us on 310-527-6994. From the moment you first get in contact, our Los Angeles retaliation attorneys will work hard to show your employers that these intimidation tactics are unacceptable. In fact, they’re not only unfair and unethical, California law actually prohibits employers from dismissing employees for making complaints about harassment or discrimination. For this reason, we use aggressive and comprehensive tactics to make sure you get the best possible outcome from your lawsuit, and your unscrupulous ex-employers don’t simply get away with it. Retaliation can become a vicious circle, as nobody wants to report it for fear of becoming the next target, and we feel strongly about stamping it out. A Los Angeles-based retaliation attorney from Rager Law Firm will use every weapon in their extensive arsenal, coupled with years of experience, to get you the result and compensation that you deserve.